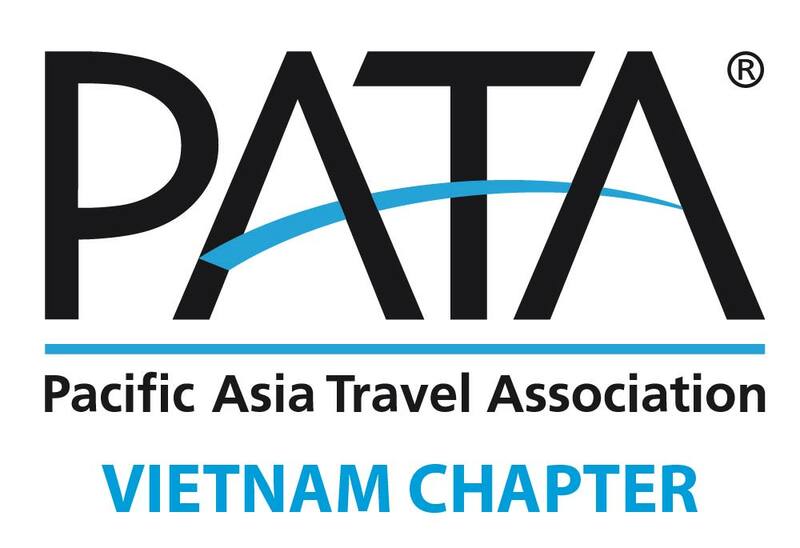 On arrival at Hanoi’s Noi Bai International airport, you will be greeted by our guide and transferred to your hotel in Hanoi. Free to leisure. O/N in hotel in Hanoi. 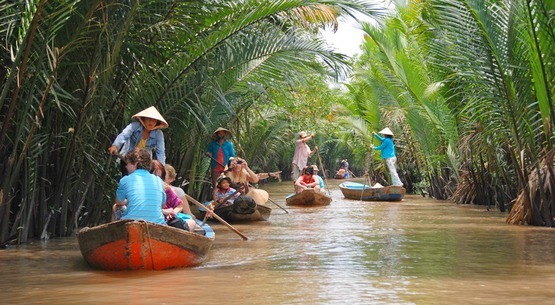 Morning, meet your tour guide at the hotel, visit Ba Dinh Square, Ho Chi Minh’s Mausoleum, and traditional stilt house the Ho Chi Minh Museum, the revered One - Pillar Pagoda..Pay visit to typical Vietnamese places of worship, Vietnam’s first university, the thousand-year-old Temple of Literature. 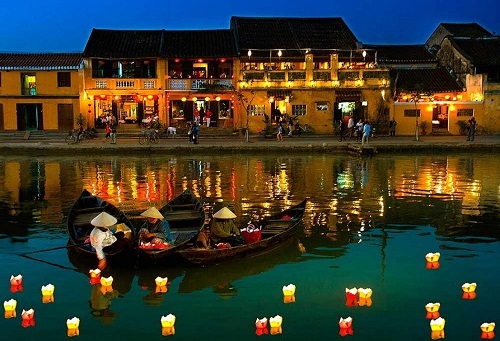 Lunch at local restaurant, visit: Army Museum or other Museum , West Lake, Tran Quoc Pagoda, and Hoan Kiem Lake (Sword Restored Lake), also a visit the Hanoi city’s traditional”36 ancient street ” and Free for shopping and dinner…..Depart at 20.00pm from your hotel. Overnight on AC Soft Sleeper Hanoi - Lao Cai train. 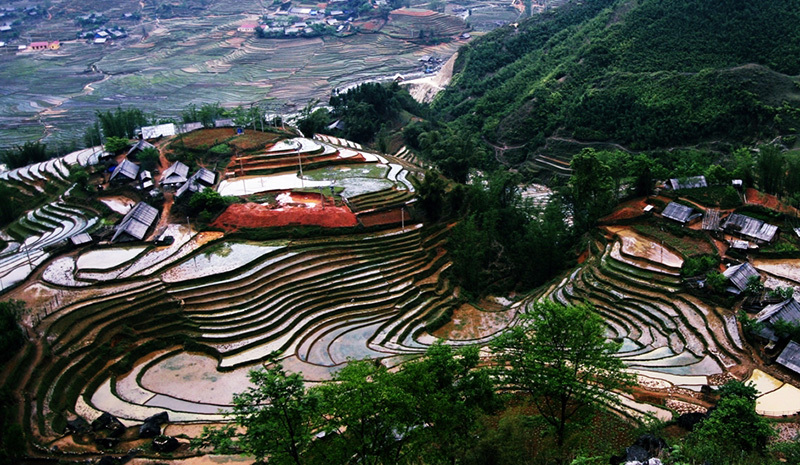 SOFT TREK: Pleasant drive to Tafin village (12km from Sapa) of Red Dzao ethic. 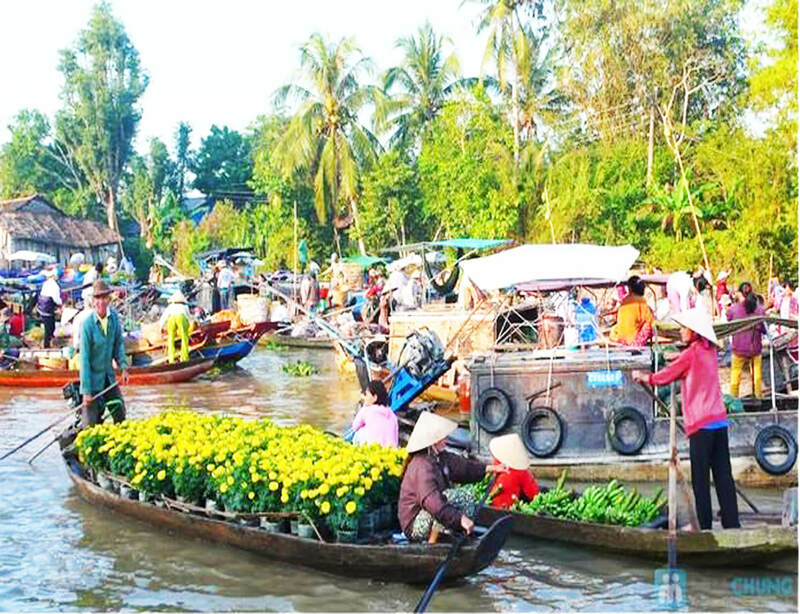 Touring to the village to visit Tafin handicraft shop and explore the daily life of Red Dzao. Here you have a good choices to buy woven and textile brocades, which is made by ethic people. Visit Tafin Cave and small hamlet of Black H'mong people. 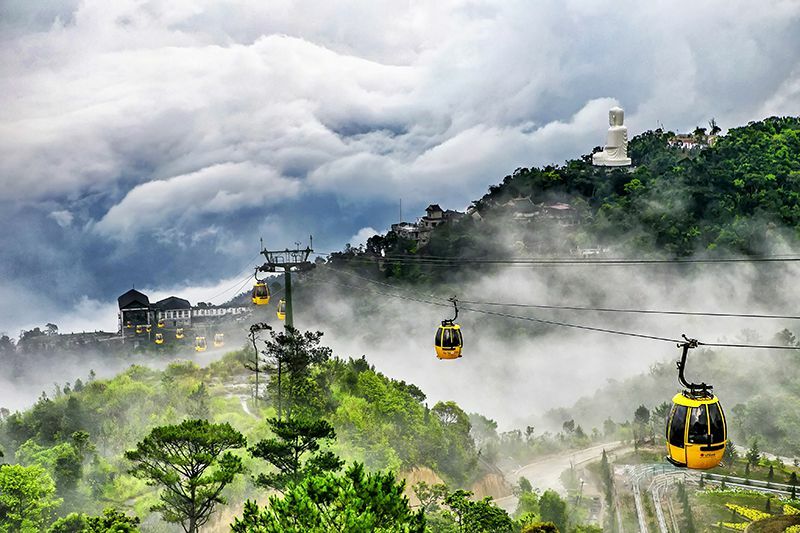 Return to Sapa and take a transfer to Lao Cai station for night train to Hanoi. HARD TREK: Take a drive to Ta Fin and trek down to a small hamlet of Matra via foot path, where inhabited by Black H'mong ethic. Continue trekking up the village and getting through paddies fields will lead you to an ancient Catholic abbey, built by French colonists. 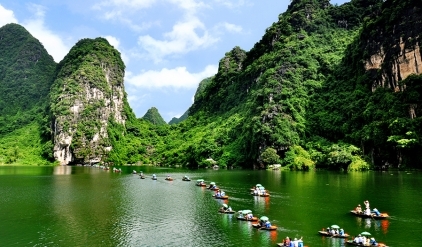 Walk 2 km more to reach Tafin handicraft shops and explore the daily life of Red Dzao. Here you have a good choices to buy woven and textile brocades, which is made by ethic people. Get on your vehicle and transfer to Lao Cai. Have dinner at local restaurant and get on night train back to Hanoi. Overnight at an AC 4 berth soft sleeper train to Hanoi. Arrive in Hanoi early morning (around 04:30-05:00). Check-in at hotel for freshen up and breakfast (check-out time is 12:00 noon). 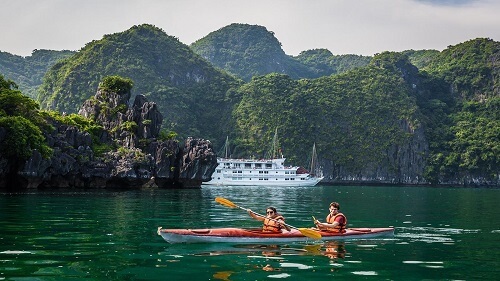 Then Depart Hanoi for Ha Long Bay approximately three hours away. En route we have a short stop at the Sao Do arts and crafts centre run by handicapped children. Upon arrival at Ha Long Bay (approx. mid-day) we will board our luxury junk boat, the ‘Jewel of the Bay’ for a delicious seafood lunch. After lunch we have the chance to explore some of the limestone caves dotted around the bay. Then our captain will find a secluded spot for swimming and sun bathing before dinner. Enjoy another seafood feast for dinner and for the night owls, there is an option of night fishing. Rising to the lapping waters of the bay we have time for an early morning dip followed by breakfast. This morning we continue to cruise around the bay to find more secluded areas to either swim or kayak in. The kayaks are lightweight and easy to use. All guests will be issued with water buoyancy vests and the junk will be near us at all times serving as a back up vessel. At midday we will return to the main harbor before transferring to our awaiting vehicle for a 3-hour journey back to Hanoi. We should be back in the capital at around 3pm. You are free for shopping in Hanoi. 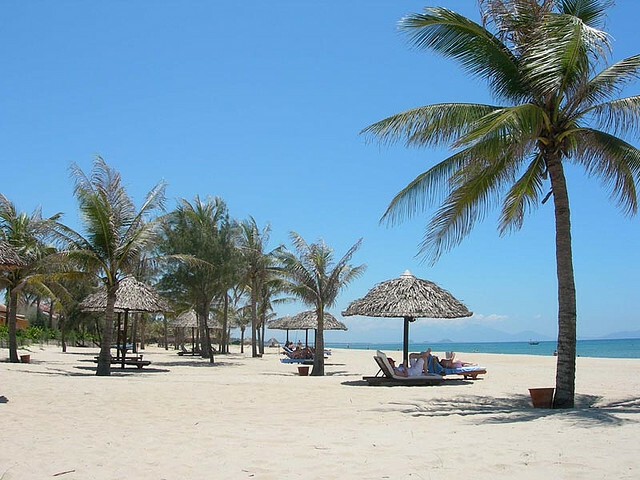 Then we take you to Noi Bai airport. Finish your Trip.